How to lead a small brand with big ambitions. Since its creation in 2002, De Bethune has proven itself as independent watchmaking’s ne plus ultra. The brand has reimagined the most fundamental aspects of a mechanical watch, breaking new ground in terms of technical, aesthetic and technological innovation, in large part due to the technical brilliance of watchmaker Denis Flageollet, who co-founded the brand with Italian watch collector David Zanetta. De Bethune has developed 26 calibers to date, many of which incorporate major technical advances, like the gold and silicon annular balance wheel (one out of nine balance wheels invented), or the flat terminal curve that replaces the Breguet overcoil. Despite the company’s size, research is carried out on an epic scale, which accounts for a large part of the high prices its watches retail for. 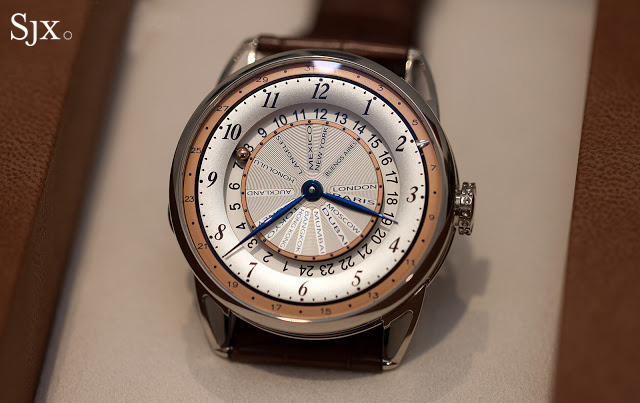 But as demand for luxury watches took a dive over the past couple of years, De Bethune found itself in troubled waters. Last autumn, Pierre Jacques returned with a group of shareholders, including Swiss financier Giovanni Perin, to provide fresh capital and renewed zeal to the brand. 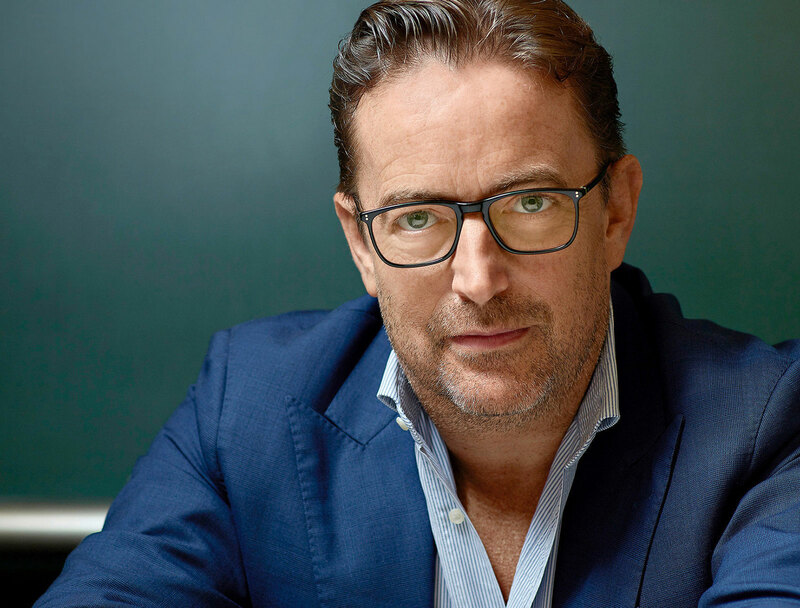 It will be the second stint at De Bethune for Mr Jacques, having led the brand in 2010 to 2015, after having founded a watch magazine and then running the watch retail chain Les Ambassadeurs. Mr Jacques now takes the helm of De Bethune, with Mr Flageollet remaining as the watchmaking head. Recently in Singapore to launch the 2018 collection, Mr Jacques sat down to explain his plans for the brand. Tell us about your decision to return to De Bethune. You never leave De Bethune. Even as I did a two-year journey at another pretty interesting independent brand [which was MCT], a part of me have always stayed with De Bethune. I was at De Bethune for five years so it was really a big part of my life, and I knew I’d come back. What challenges did you face during the acquisition? De Bethune is extremely driven by creation. I wouldn’t say it’s a non-profit organisation but profit is almost an afterthought. It’s a brand driven by passion, not by economic interest. To sell this to an investor, you really have to transmit your passion as well as the passion within the brand. If you were to look at the last line of digits, it’s not easy to ask people to follow me on this investment. But I think I really found the right partner who really understands the brand and who wouldn’t try to interfere with the daily business, because watch manufacturing cannot be driven by any statistics. There is no master’s degree that can teach you how to run a small independent brand like this. What have you changed about De Bethune’s strategy to make it work this time? There is not a lot to change. We are an independent manufacture that does everything in-house. We have the best watchmaker ever so we won’t be changing the way watches are conceived. Denis is still one of the main shareholders and is a big part of the company. So, his creative and technical direction would be left alone. What we’d do is to be more exclusive than before. I would not say exclusive in terms of price, as you’ve seen we have reduced the price by 20 to 30 percent, but we want to be more exclusive in quantities. We used to produce more than 400 pieces a year but now we would only be producing 100 pieces. This is really our new orientation. My focus right now is to reassure our partners that De Bethune is back on its feet and that there’s a new momentum in the brand. In the past much of the brand’s aesthetic vision came from David Zanetta, while Denis Flageollet provided the technical know-how. Have you taken over the role of design architect for the brand? I would say it’s a shared effort. Denis has always had a strong sense of aesthetics. He honed his skills restoring antique timepieces at the beginning of his career. He has also worked with François-Paul Journe and Vianney Halter so he has a strong classical watchmaking background. The genetic codes, the design language of the brand is already in place. Now it’s a game of Lego and we will continue to produce amazing creations, by taking what is already in our background. The Steel Wheels, for instance, is the result of that. The new owners of De Bethune include an American distributor who also specialises in pre-owned watches. For the industry overall, do you think the line between authorised and unauthorised distribution is as clear today as it was 10 years ago? No, because the business has changed so much over the years. Both authorised and unauthorised distribution are part of the game today. We know that for good distribution, we have to pick the right partner who can present your product the right way. Everyone in Asia knows [Singapore retailer] The Hour Glass. On the other hand, we have to admit that if there is no unauthorised market or preowned market, there is no market. Because the reflex of any customer is to wonder what the resale value of his watch is. Of course, we can explain that the key reason to buy a watch is to enjoy it. You buy a car to drive a car, and like a car, a watch can lose a bit of value. But after 20, 30, 40 years the value of a classic car goes up again. It’s the same for watches. We’re certain that De Bethune will become one of the most visible brands in the vintage market in 50 years, but we are not making watches so that they’d become high-value vintage watches. We make watches to be enjoyed everyday. With regards to our partner, we think that it was the best way. It’s a strategic decision to have someone who could play against you, play in your team. It is safer this way; he protects the interests of De Bethune. 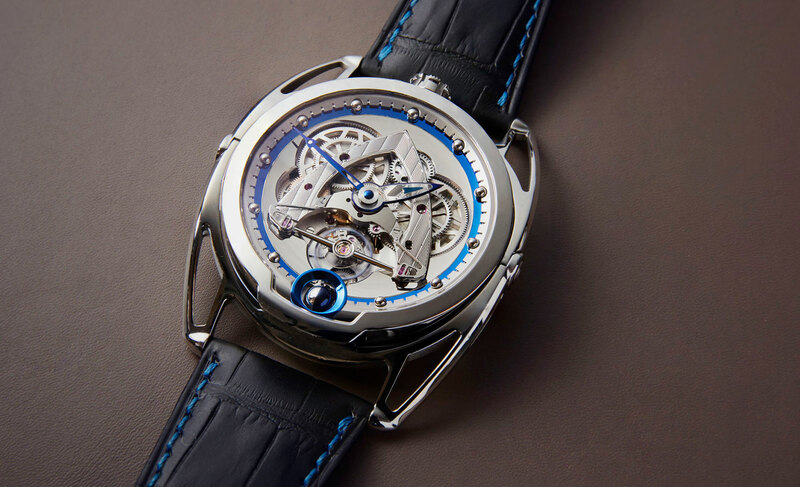 On to the watches, De Bethune makes extremely complicated watches with cutting edge tech. How do you ensure your clients can understand all of that? No doubt, it is difficult to communicate all that we have developed. It takes time to explain every component. With technology and social media, people’s attention spans are getting shorter, and they want to be shocked. We can’t explain in three to five words that we have a triple pare-chute shock absorber system, the most innovative balance wheels, made from platinum, titanium, silicium, with a flat terminal curve, self-regulating twin barrels, six-day power reserve, a three-dimensional moonphase. It can be overwhelming, so we have to do it one step at a time. And we can’t do it alone, we have to rely on the watch media like yourself to amplify these technical details. For us to do it ourselves, it’s quite complicated. But we are currently renewing our website and we’ll be publishing all these technical developments in a special section. With everything that the brand has already accomplished – multiple world firsts and patents – what are the technical challenges that the brand has yet to overcome? 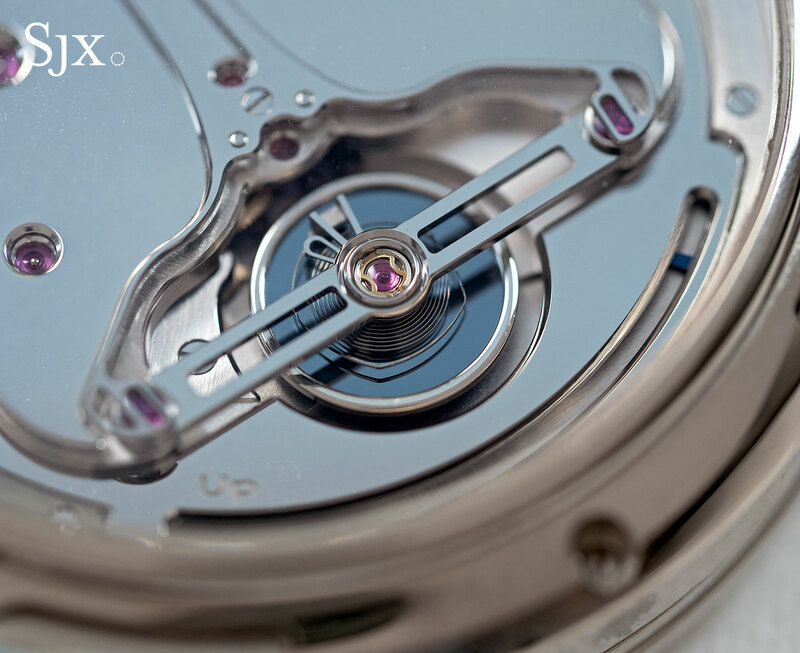 The technical ambition of De Bethune is always to do more and to do better. For instance, I won’t say we’re going to do it, but if we were to make a minute repeater, we’ll do it in a completely different way. We will never just redo what has been done in the past. Our focus is to innovate with every complication we bring to the table. Our GMT World Traveller, for instance, is the only watch that combines both a GMT and world time indicator. Another example is the Resonique, which was a fundamental research De Bethune did in 2012, and last year you saw something similar in the market by another brand. This is De Bethune. It has always been ahead of its time, so imagine what we can achieve with ten times more fuel.